Adam Ondra climbed yesterday probably the hardest route in Bohemia, West part of Czech Republic. 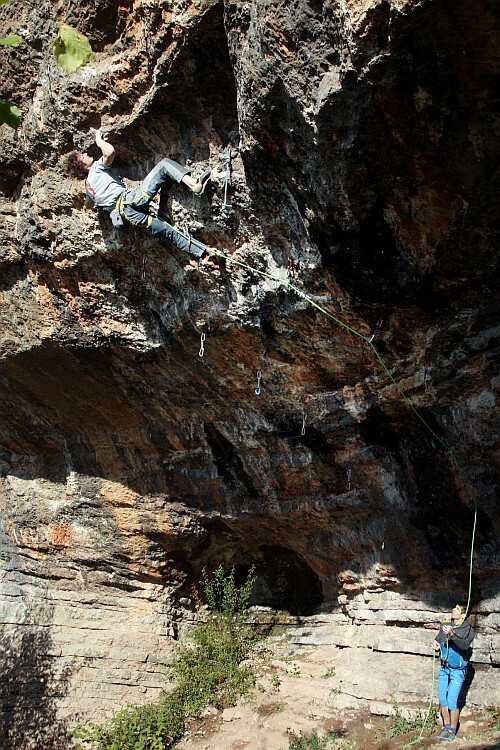 He sent his new project Predator 9a+ PP in limestone area Srbsko, near Prague. Adam wrote to climbs database in the Czech version of our climbing portal grade 11/11+ and he commented it: "As the most probable grade I see 11/11+ (9a/a+), it went yesterday somehow better then I thought. But I have to remark that the crux moves are very specific and the strength does not mean enough, so therefor I could really hardly grade it. And yes I admit the the style match me, so it may will be 11+ in the end." In Moravia on East Adam Ondra did before several harder routes, it his home area. Spain - Adam Ondra and co.
France is not only Buoux - Adam Ondra and comp.